Ion Chromotography is used for the determination and quantification of Anion and Cation concentrations in liquids. Our primary use for this technique is detecting and monitoring the levels of Nitrates, Phosphates, and Sulphates in upland surface waters. Other areas of interest include soil pore waters, effluent and wastewater, and soil fertility; while other analytes include Chloride, Bromide, Fluoride, and Ammonium. 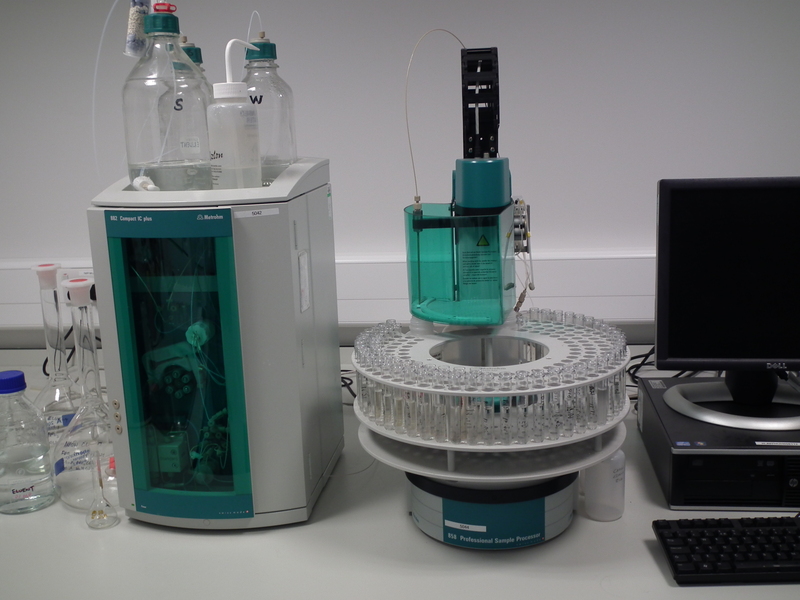 We have two Metrohm Compact Plus systems with 150 place autosamplers.